He has never been shy when it comes to partaking in controversial artistic pursuits. 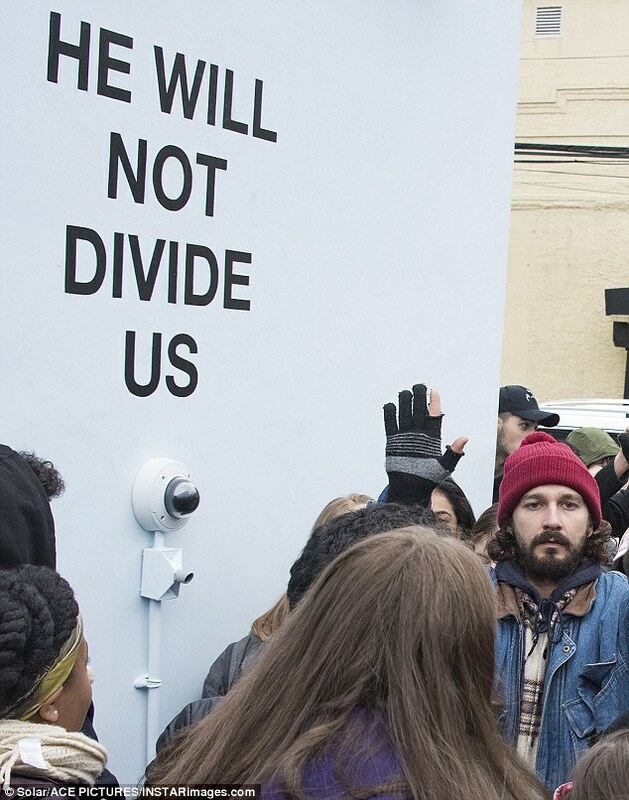 And Shia LaBouf seemed to be having a great time mingling with fans as he kicked off his anti-Donald Trump He Will Not Divide Us project in New York on Friday. The 30-year-old certainly proved to have drawing power, as not only was a large number of excited followers on hand, but star Jaden Smith was also in attendance at the event outside the Museum of Moving Pictures in Queens. The Transformers star was mobbed by excited attendees for the grand launch, and he was even happy to take selfies with lucky punters. He wore an appropriately arty ensemble to the event, wearing a denim jacket, plaid shirt, beanie hat and gloves, with the right hand of the latterly tantalisingly missing two fingers, in what was surely a deep yet mysterious statement. 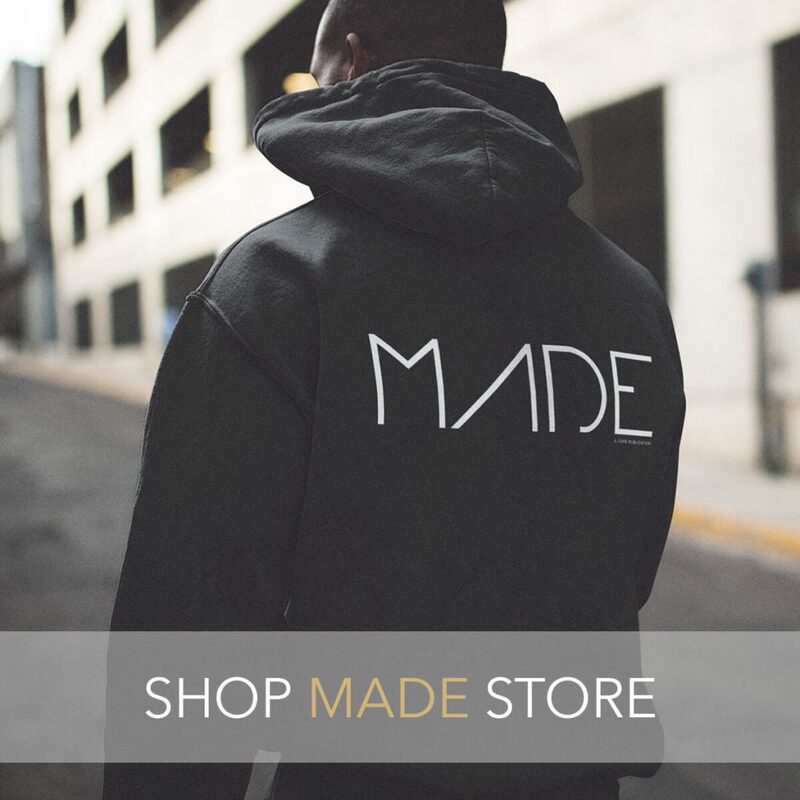 Will Smith’s son 18-year-old son Jaden, who recently complained about being a failure and about the lack of opportunities he has creatively, was the other star attraction. 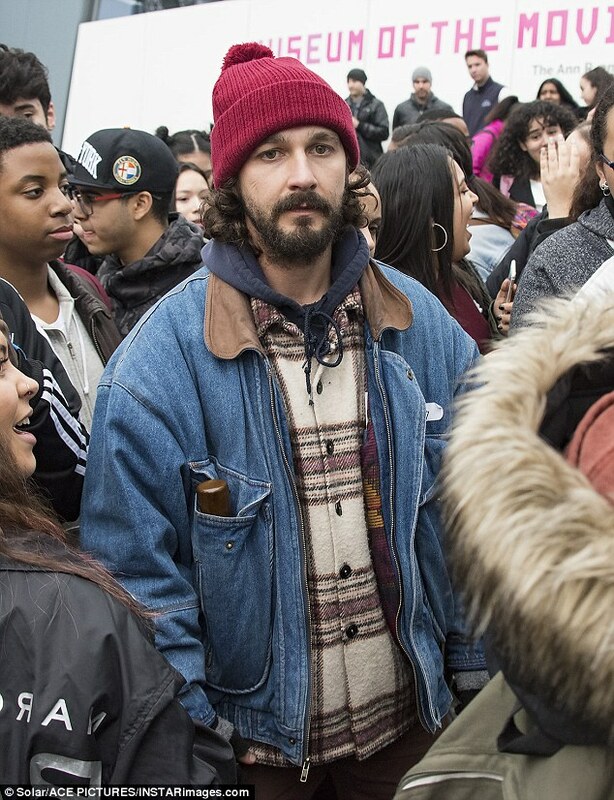 Later Shia promoted his art installation by sharing an image on Twitter showing his chum staring at the wall. According to the website explaining his latest endevour, members of the public will be able to stand in front of his wall outside the gallery and say the words ‘He will not divide us’ into a camera mounted as many times as they wish. The project is to allow people to protest Donald Trump becoming the 45th President of the United States, as well as his future policy decisions. As if that was not enough, the wall will be open all day every day for the length of the property mogul’s presidency. Read more HERE on DailyMail.com.